Keep your hands clean and dry while playing. 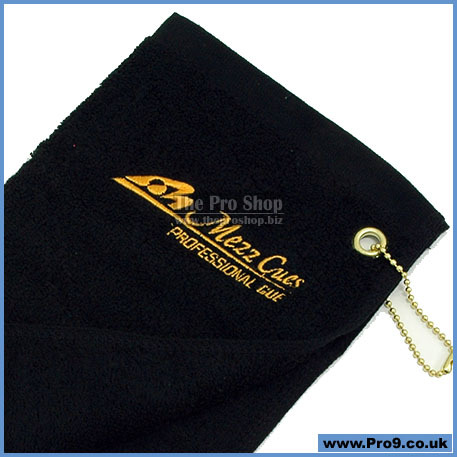 The Mezz towel can also be used for cleaning the chalk residue on the shaft and wiping dirt off the balls. 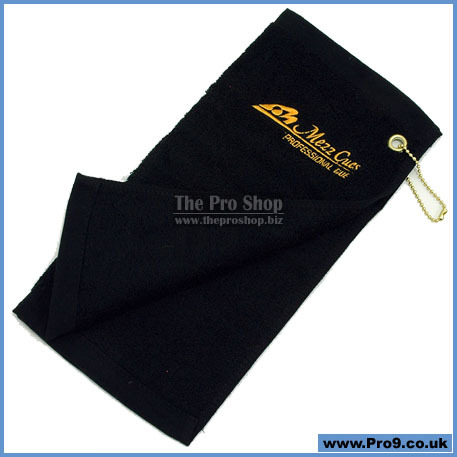 A 100% cotton towel, with an embroidered Mezz logo, provides a comfortable feel and excellent absorbency. It includes a grommet and corner hook chain for easy attachment to a cue case.